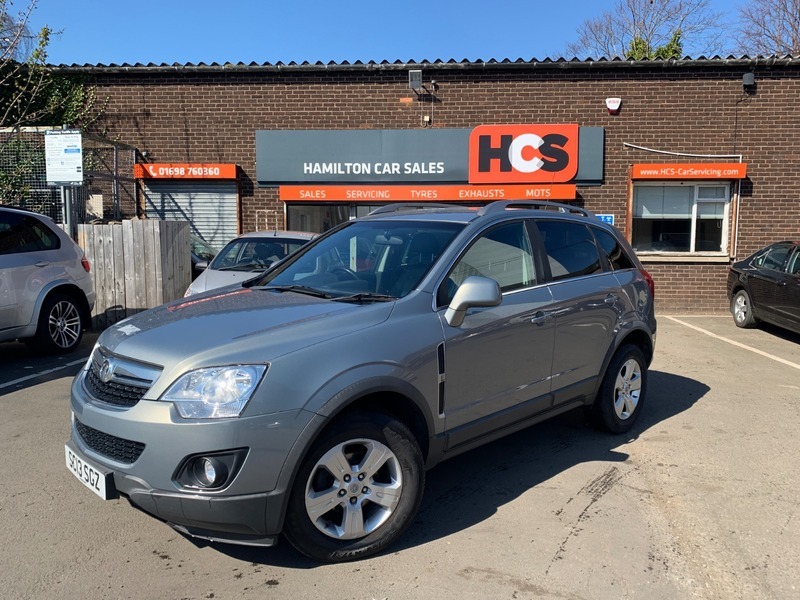 Vauxhall Antara 2.2 CDTi Exclusiv (s/s) 5dr - £7,500 p/x welcome & finance available. These are lovely big cars come with a very hi-spec & are lovely to drive! This one has Bluetooth, Alloys, Tinted windows & more! This car has very low miles for the age, only 1 former keeper & is in excellent condition inside & out! Lovely interior, excellent bodywork & loads of storage space!! We supply the vehicle with 1 years MOT ( no advisories ), 1 year parts & labour warranty & AA Cover! £7,500 p/x welcome & finance available. THINK YOU CANT GET CAR FINANCE? THINK AGAIN!! We can arrange finance for all circumstances! 12 months warranty, 12 months MOT, Service history, Excellent bodywork, Interior - Excellent Condition, Tyre condition Excellent, 5 seats, Grey, 1 owner, 17in Alloy Wheels with Locking Wheel Nuts, Air Conditioning, CD 40 - CD/MP3 CD Player with Aux-In Socket and USB Connection/iPod Control, Dark-Tinted Glass (Excludes Windscreen and Front Door Windows) and Tinted Glass (Windscreen and Front Door Windows), Electrically Heated Front Seats with Variable Temperature Settings, Electrically Operated Front and Rear Windows with Safety Autoreverse and One-Touch Facility, Mobile Phone System with Bluetooth, Remote Control Ultrasonic Security Alarm System, Start/Stop System.